It is safe to say that when you plan a trip at the summit of White Pass, Washington, you are close to access points for the majority of PNW favorite activities. The Village Inn is located on the official Washington State Evacuation Route: Highway 12 (read: the only time you can't get here is during a major catastrophe or weather event). Go ahead, plan that crazy, adventure-full vacation! Throughout the year, day trips are endless and range from intense to lazy. Hiking, biking, wildlife viewing, kayaking/rafting, and fishing, as well as scenic drives along US HWY 12 to Mt. Rainier National Park. Yakima Valley farm stands and wineries. Local lakes, waterfalls, and Audubon trails. On site, the air is fresh and the full-size pool is heated to a very comfortable temperature. Sleep soundly knowing that there will be plenty to do once you get here. Check out the links below for our local area highlights. See what adventures await nearby while staying at The Village Inn! Alpine Skiing, Snowboarding, and Cross Country trails are all within walking distance of your condominium. We`re not quite ski-in, ski-out but almost! Fun for the young and young at heart. Spend a day out on the slopes and trails, then come back to your unit to relax and ease your muscles in our hot pool. If it`s Winter on White Pass, you can be sure there is skiing. If spring is just arriving in the valley, you can still get great turns up here in fantastic, light powder. Did we mention the groomers are seamless? During the summer, the cross country trails turn into an excellent mountain biking area, and are right out the back door of your condo. 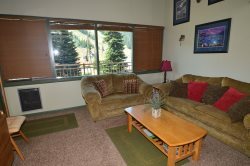 Reserve a room at the Inn at White Pass for when it is hot in the valley and you prefer the cooler temperatures after antique shopping. The area is a hub for enthusiasts during the spring and summer Flea Market season. Beat the crowds and hot weather! Spend a morning shopping and an afternoon out on your mountain bike exploring the network of lower mountain bike trails, then come back up the mountain for a cool swim in our pool and a relaxing evening at the pass. For more information about events and activities in town check destinationpackwood.com/. The White Pass area is surrounded by small communities, preserved mountains, foothills and river valleys all accessible by car. Scenic drives will show you the splendid vistas from the comfort of your vehicle. You do not have to go far to enjoy the sites. In the fall, take a mountain colors tour - we have Larches between here and Rimrock lake! This unique region includes dams, agricultural and commercial properties, state parks, wildlife areas, and recreation lands. Forest lands include the Gifford Pinchot, Mt Baker-Snoqualmie and the Okanogan-Wenatchee National Forests, Mount Rainier National Park, Mt. St. Helens National Monument, and Mount Adams Wilderness Area. White Pass Village Inn is right in the heart of 3 beautiful National Forests. Watch for wildlife, hike, take a quiet walk, or drive to an open vista. From the Inn at White Pass heading West, a 15 minute highway drive puts you at the SE corner of Mt. Rainier National Park. Forest Service roads from there offer quick access to treasures in the park such as Ohanapecosh, Grove of the Patriarchs, Sunrise, and Paradise. Also to the West are Mt. Adams & Mt. St. Helens. Both are within reach as a nice day trip to access the remote and historical areas. Stop by the Randle, WA ranger station for more information and to purchase your permit (it is on your way). To the East, a short jaunt puts you at a PCT trail head suitable for both hikers on foot and equestrians.